Jeff Harrison is an innovator who has surrounded himself with nearly one-hundred other innovators. Together, they’re putting Mt. Pleasant on the map as one of the most forward-thinking manufacturing hubs in the country. 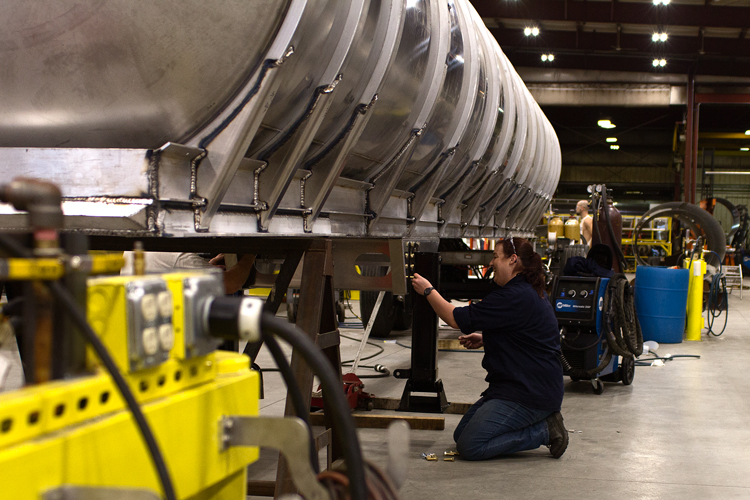 Harrison’s Burch Tank & Truck specializes in building custom tanker trailers, and their handy work — those long, often shiny, silver bullets towed by semi-trucks carting one liquid or another — can be seen hurtling down highways all over the country. In fact, if you’re a Michigander, there’s a good chance the milk you poured over your morning cereal or splashed into your cup of coffee took at least one ride in a Burch-built tank between farm and table. Harrison prides himself on a proactive and progressive approach to business, which is one of many good reasons his tanks are ubiquitous in Michigan’s dairy industry. “We’re always looking for ways to make things lighter weight, more efficient, so that they need less maintenance,” says Harrison, adding that these factors equal important cost-savings for clients whose livelihood depends on moving things from point A to B and making a little money in the process. 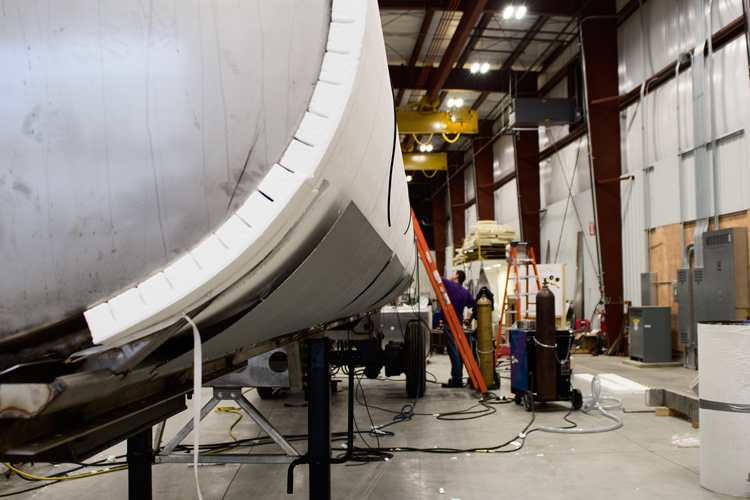 This attention to detail and willingness to work outside the box for better results has earned Harrison and his team of engineers and fabricators a reputation in industries far beyond dairy, too. So they weren’t surprised when they got a special request for one-of-a-kind aviation fuel tankers earlier this year. The client in this case was CHI Aviation, a vertical lift solutions company that offers helicopter-based services ranging from crop protection on farms during late-spring freeze events to search and rescue support in dangerous terrain to wild-fire fighting from the sky. The first of two tanks is already battling this season’s blazes. The 6,200-gallon insulated cylinder-on-wheels made a quick stop in Ogden, Utah where it passed that daunting federal safety inspection with flying colors, and then went straight to work. A second is in progress in a newly-added 25,000 square foot shop at the Burch compound just off Pickard Road on the north side of Mt. Pleasant. Both tanks feature built-in flood lights so fire fighters can refuel quickly and safely at night, a dedicated pressure washer and pump system that runs on its own gasoline motor, elaborate hose and reel setups, and are built to be towed safely in off-road conditions ranging from the hills of California to the outback in Australia. If they work as well as Harrison expects them to, CHI has promised they’ll be back for at least three more. Mechanics, accountants, and mechanical engineers are also on Harrison’s employee wish list. Plus a few more operators for a brand new laser cutting machine that sits along the east wall of the new shop. 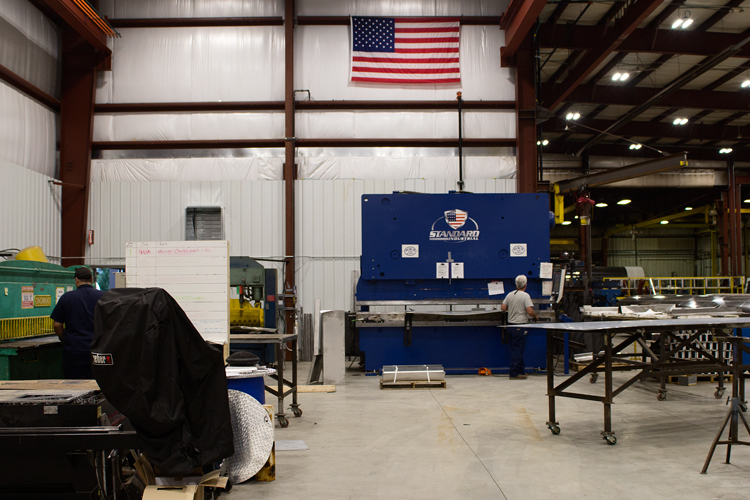 The machine, which can custom cut just about any piece of metal Harrison’s engineers can dream up as part of a new project, features an eight-foot by twenty-foot bed, and can turn out precision parts in minutes. Earlier this month Harrison invited employees to compete in a crazy hat contest. A panel of four local judges — the sheriff, a fireman, a representative from Michigan Milk Producers, and another from Gratiot-Isabella RESD — came out to choose a winner from the roughly twenty-people who participated. The winner took home $100, but the real prize was a $200 donation to a charity of the winner’s choice. This year the cash went to St. Jude Children’s Hospital.